← Casey. Caylee. Caseycayleecaseycayleecaseycaylee. Enough already! The Most Depressing Song Ever…? I finally found it today. When I was young I heard a song that haunted me for years, but I couldn’t remember the lyrics. All I could recall was that the song dealt with an airplane crash. The victim who narrates the song talks about the blood flowing from his body, the immense pain he’s in, and intimates that his girlfriend is dead. The song was banned from radio play, as I recalled, because there were rashes of suicides from depressed people whenever the song came on. Even with the wonderful information-gathering capability of the Internet the name of this song eluded me. I asked a number of radio people if they recalled the song or could name it, but always got a blank stare or a negative response to my email queries. I thought I remembered that the song came out in the mid-to-late 1960’s but, as it turned out, I was off by a few years. While researching another recording artist today I found a Wikipedia article called “List of 1970s one-hit wonders in the United States.” There under the year 1971 was a song called “D.O.A.” by Bloodrock. 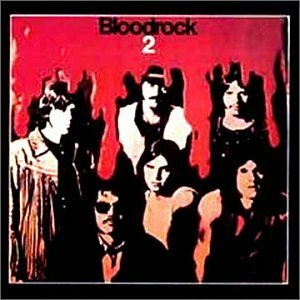 Something clicked, and after reading the entry on Bloodrock I thought I had the right song but was still unsure. Don't listen. You'll regret it. Really. I went to YouTube and there it was…all 8 minutes and 30 seconds of it, in all its depressing glory. You can find it here. A warning before you click the link: you will probably be depressed after listening to it. Really, really depressed. Don’t say I didn’t warn you. Why was this worthy of a blog post? I’d asked so many people about this and, since no one seemed to remember it, I began to think I was losing it. I’ve finally found the answer, and I’m so happy. At least, I was happy until I listened to the damn thing again. So is this the most depressing song ever, or do you have another candidate? Feel free to post a comment and pass along your recommendation(s).